Monitoring is not passive, it offers an information stream into an active process to enhance and maintain building efficiency. A great deal of data is generated, which can be the basis for reporting important information about the buildings sustainability. These reports can be used for budgeting, project management or to track costs and savings generated by the improvements. 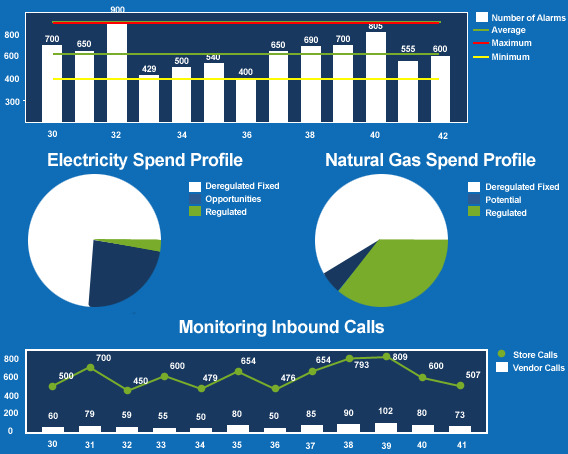 These monitoring service charts can show the monitoring of the energy coming into the building, thru the energy using equipment, such as lighting, HVAC and production equipment. This is handled through Energy Management Control Systems and sensors that allow the monitoring service to alert and track both energy and operational issues.